Virginia is stepping up yet again as the first state to take up an vital issue. First it was the constitutionality of the mandate inside Obamacare, and now they are studying an alternative currency system for Virginia in the likelihood the Federal Reserve crashes. This concept can’t happen fast enough in every single state in the republic. Let your state legislators know that you expect them to take up the issue of some type of replacement currency for Federal Reserve Notes. We average Americans should not be the only ones prepared for the currency collapse and ensuing chaos that will surely follow. States must have a plan in place for the day when the piper must be paid. If you want to understand the math of the never-ending debt cycle, check out The Economic Collapse’s piece that follows ZeroHedge’s story below. I suggest you read it in it’s entirety, and then pass it along to your email lists. This is the master wealth redistribution plan at it’s worst. In what may one day be heralded as the formal proposal that proverbially started it all, the Commonwealth of Virginia introduced House Resolution No. 557 to establish a joint subcommittee to “to study whether the Commonwealth should adopt a currency to serve as an alternative to the currency distributed by the Federal Reserve System in the event of a major breakdown of the Federal Reserve System.” In other words, Virginia will study the fallback plan of a “timely adoption of an alternative sound currency that the Commonwealth’s government and citizens may employ without delay in the event of the destruction of the Federal Reserve System’s currency” and avoid or “at least mitigate many of the economic, social, and political shocks to be expected to arise from hyperinflation, depression, or other economic calamity related to the breakdown of the Federal Reserve System.” Most importantly as pertain to the currency in question, “Americans may employ whatever currency they choose to stipulate as the medium for payment of their private debts, including gold or silver, or both, to the exclusion of a currency not redeemable in gold or silver that Congress may have designated ‘legal tender’.” Whether this resolution will ever get off the ground, and actually find that the world is at great risk should gold not be instituted as a backstop currency, is irrelevant. The mere fact that it is out there, should provide sufficient impetus to other states to consider the ultimate Plan B. We urge all legislators to carefully read this resolution. The vast majority of Americans, including many of those who believe that they are “educated” about the Federal Reserve, do not really understand how the Federal Reserve really makes money for the international banking elite. Many of those opposed to the Federal Reserve will point to the record $80.9 billion in profits that the Federal Reserve made last year as evidence that they are robbing the American people blind. But then those defending the Federal Reserve will point out that the Fed returned $78.4 billion to the U.S. Treasury. As a result, the Fed only made a couple billion dollars last year. Pretty harmless, eh? Well, actually no. You see, the money that the Federal Reserve directly makes is not the issue. Rather, the “magic” of the Federal Reserve system is that it took the power of money creation away from the U.S. government and gave it to the bankers. Now, the only way that the U.S. government can inject more money into the economy is by going into more debt. But when new government debt is created, the amount of money to pay the interest on that debt is not also created. In this way, it was intended by the international bankers that U.S. government debt would expand indefinitely and the U.S. money supply would also expand indefinitely. In the process, the international bankers would become insanely wealthy by lending money to the U.S. government. Every single year, hundreds of billions of dollars in profits are made lending money to the U.S. government. But why in the world should the U.S. government be going into debt to anyone? Why can’t the U.S. government just print more money whenever it wants? Well, that is not the way our system works. The U.S. government has given the power of money creation over to a consortium of international private bankers. Not only is this unconstitutional, but it is also one of the greatest ripoffs in human history. In 1922, Henry Ford wrote the following…. It is important to try to understand how the international banking elite became so fabulously wealthy. One of the primary ways that this was accomplished was by gaining control over the issuance of national currencies and by trapping large national governments in colossal debt spirals. The U.S. national debt problem simply cannot be fixed under the current system. 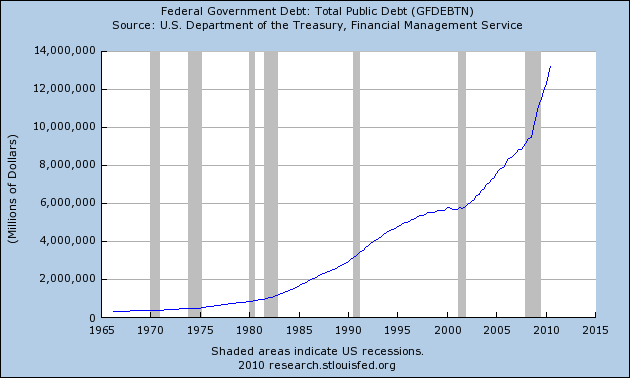 U.S. government debt has been mathematically designed to expand forever. It is a trap from which there is no escape. Many liberals won’t listen because they don’t really care about ever paying off the debt, and most conservatives won’t listen because they are convinced we can solve the national debt problem if we just get a bunch of “good conservatives” into positions of power, but the truth is that we have such a horrific debt problem because it was designed to be this way from the beginning. So how would America be different if we could go back to 1913 and keep the Federal Reserve Act from ever being passed? 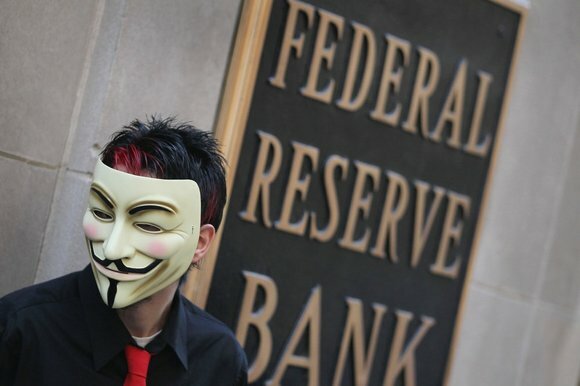 Well, the following are 10 things that would be different if the Federal Reserve had never been created…. #1 If the U.S. government had been issuing debt-free money all this time, the U.S. government could conceivably have a national debt of zero dollars. Instead, we currently have a national debt that is over 14 trillion dollars. #2 If the U.S. government had been issuing debt-free money all this time, the U.S. government would likely not be spending one penny on interest payments. Instead, the U.S. government spent over 413 billion dollars on interest on the national debt during fiscal 2010. This is money that belonged to U.S. taxpayers that was transferred to the U.S. government which in turn was transferred to wealthy international bankers and other foreign governments. It is being projected that the U.S. government will be paying 900 billion dollars just in interest on the national debt by the year 2019. #3 If the U.S. government could issue debt-free money, there would not even have to be a debate about raising “the debt ceiling”, because such a debate would not even be necessary. #4 If the U.S. government could issue debt-free money, it is conceivable that we would not even need the IRS. You doubt this? Well, the truth is that the United States did just fine for well over a hundred years without a national income tax. But about the same time the Federal Reserve was created a national income tax was instituted as well. The whole idea was that the wealth of the American people would be transferred to the U.S. government by force and then transferred into the hands of the ultra-wealthy in the form of interest payments. #5 If the Federal Reserve did not exist, we would not be on the verge of national insolvency. The Congressional Budget Office is projecting that U.S. government debt held by the public will reach a staggering 716 percent of GDP by the year 2080. Remember when I used the term “debt spiral” earlier? Well, this is what a debt spiral looks like…. #6 If the Federal Reserve did not exist, the big Wall Street banks would not have such an overwhelming advantage. 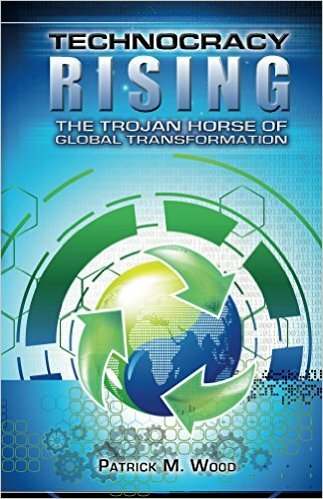 Most Americans simply have no idea that over the last several years the Federal Reserve has been giving gigantic piles of nearly interest-free money to the big Wall Street banks which they turned right around and started lending to the federal government at a much higher rate of return. I don’t know about you, but if I was allowed to do that I could make a whole bunch of money very quickly. In fact, it has come out that the Federal Reserve made over $9 trillion in overnight loans to major banks, large financial institutions and other “friends” during the financial crisis of 2008 and 2009. #7 If the Federal Reserve did not exist, it is theoretically conceivable that we would have an economy with little to no inflation. Of course that would greatly depend on the discipline of our government officials (which is not very great at this point), but the sad truth is that our current system is always going to produce inflation. In fact, the Federal Reserve system was originally designed to be inflationary. Just check out the inflation chart posted below. The U.S. never had ongoing problems with inflation before the Fed was created, but now it is just wildly out of control…. #8 If the Federal Reserve had never been created, the U.S. dollar would not be a dying currency. 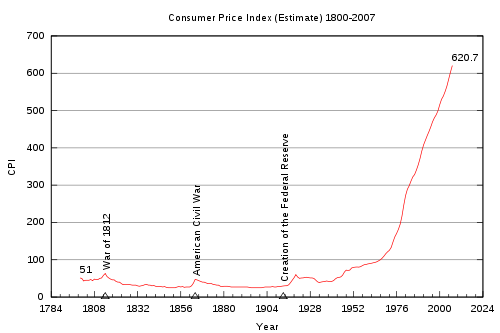 Since the Federal Reserve was created, the U.S. dollar has lost well over 95 percent of its purchasing power. By constantly inflating the currency, it transfers financial power away from those already holding the wealth (the American people) to those that are able to create more currency and more government debt. Back in 1913, the total U.S. national debt was just under 3 billion dollars. Today, the U.S. government is spending approximately 6.85 million dollars per minute, and the U.S. national debt is increasing by over 4 billion dollars per day. #9 If the Federal Reserve did not exist, we would not have an unelected, unaccountable “fourth branch of government” running around that has gotten completely and totally out of control. Even some members of Congress are now openly complaining about how much power the Fed has. For example, Ron Paul told MSNBC last year that he believes that the Federal Reserve is now more powerful than Congress…..
#10 If the Federal Reserve had never been created, the American people would be much more free. We would not be enslaved to this horrific national debt. Our politicians would not have to run around the globe begging people to lend us money. 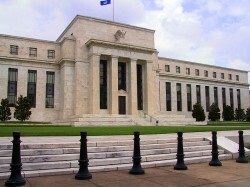 Representatives that we directly elect would be the ones setting national monetary policy. Our politicians would be much less under the influence of the international banking elite. We would not be at the mercy of the financial bubbles that the Fed has constantly been creating. There is a reason why so many of the most prominent politicians from the early years of the United States were so passionately against a central bank. The following is a February 1834 quote by President Andrew Jackson about the evils of central banking…. But we didn’t listen to men like Andrew Jackson. We allowed the Federal Reserve to be created in 1913 and we have allowed it to develop into an absolute monstrosity over the past century. Now we are drowning in debt and we are on the verge of national bankruptcy. Will the American people wake up before it is too late? Bravo, Virginia! First, last and always in the forefront of good common sense!